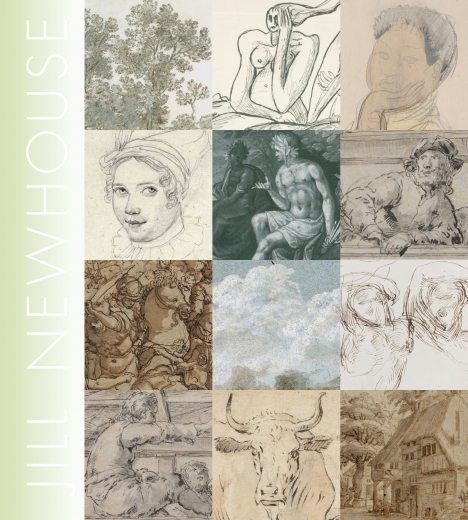 Jill Newhouse Gallery is privileged to present for sale a group of 40 works from the collection of Curtis O. Baer. Drawings include works from the 16th – 20th centuries in France, Germany, Holland, and Italy by artists such as Max Beckmann, Eugene Delacroix, Battista Franco, Wenzel Hollar, Paul Klee, Claude Lorrain, J.F.Millet, Auguste Rodin and others. Curtis Baer was German refugee who settled in the United States in 1940. Throughout the 1950’s and 1960’s, he was an avid collector and passionate scholar of drawings of all periods. His enthusiasm and devotion to works of art on paper was legendary in the field, and influenced his family, his students, colleagues and friends alike. The descendants of Curtis Baer have worked only with Jill Newhouse Gallery to discreetly disperse items from the family’s collection. Works from this collection have been previously placed in many important private collections and museums around the world including The Metropolitan Museum of Art, The Getty, The Morgan Library, The National Gallery of Art, Washington, and others. Curtis O. Baer was born in Strasbourg in 1898. He was a student of several important scholars and art historians, including Heideggar, Friedlander and Jantzen at the University of Freiburg in 1917. He married in 1934 and moved to the United States in 1940. Baer began collecting in Frankfurt in the 1940’s at the urging of the curator of the Stadelsches Museum, Edmund Schilling, though most of his drawings were purchased while Baer was in the business world in the 1950’s and 1960’s. The drawings came through auctions, dealers and personal contacts made in Paris, London, Berlin, and other cities. His decisions were often spontaneous, made for the love of the object rather than in support of a grand plan or collecting goal. He believed that each artwork had an intrinsic value and said that most of his drawings were “love at first sight.” He lived with and enjoyed each and every work, and enthusiastically shared his appreciation with family and friends alike. In 1961, Baer left the business world to become a visiting scholar in the connoisseurship of drawings at Vassar College. He also conducted graduate seminars at New York University and Manhattanville. In 1970, he published the well known book Landscape Drawings which emphasized his particular beliefs about looking at art. He continued to add to his collection which grew to over 100 works on paper of all schools, from Titian to Paul Cezanne, Jacob van Ruisdale to Max Beckmann. The collection has been exhibited only twice, once at the Fogg Art Museum under Agnes Mongen in 1958 and in 1985 in a travelling exhibition organized by Eric Zafran, then at the High Museum of Art. The collection has most recently been housed at the National Gallery of Art in Washington D.C., under the supervision of Andrew Robison and Meg Morgan Grasselli. “Why do you buy drawings?”…..(one) motive may be stronger and more basic than all others: that is the longing to live with what we can only call the miracle of art – the strange unity between something eternal and a fragile piece of paper. To harbor such guests, who ennoble our home with their silent and eloquent presence, who bring us so much happiness: what man would not count this a privilege and a deep satisfaction?